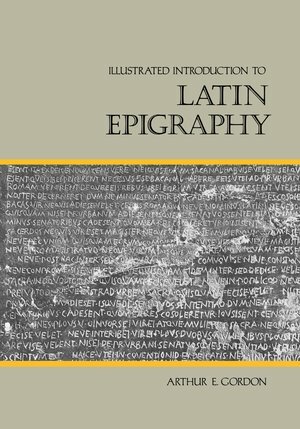 This is a much-needed textbook for students of epigraphy and an up-to-date reference work for scholars. Central to the work are its photos. Professor Gordon presents 100 Latin inscriptions arranged in chronological order and illustrated by the best available photographs. The inscriptions, which range in date from the sixth century B.C. to A.D. 525, are collated with standard texts and are accompanied by translations and full annotation. 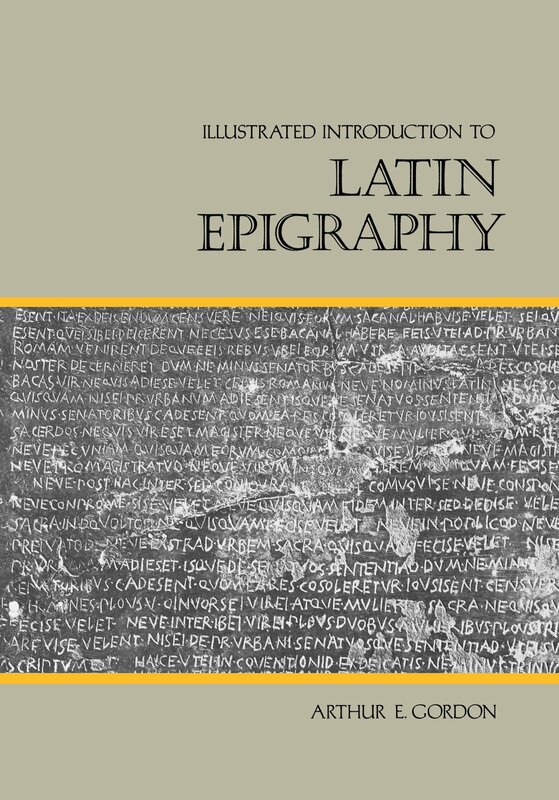 They are preceded by an original introduction dealing with important aspects of Latin epigraphy and followed by several appendices on such special topics as Roman numerals. The photographs of these inscriptions reveal the close relationship between Latin inscriptions and our present-day type fonts by way of the humanistic hand of fifteenth-centry European scholars. This book will be of interest not only to students and scholars of epigraphy but to those interested in the history of typography as well. Arthur E. Gordon (1902 - 1989) was Professor Emeritus, Classics, University of California, Berkeley.